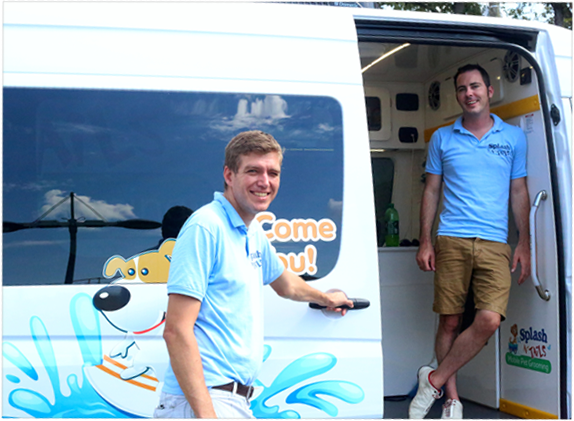 Splash N’ Tails employs extensive safety and sanitary precautions to ensure your pets safety and health. 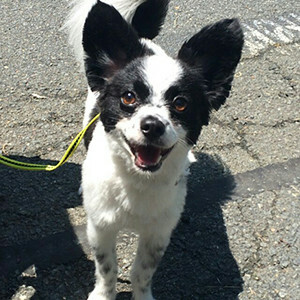 Despite reasonable and prudent efforts, some pets may experience common side effects of the grooming process, including but not limited to: razor burn, exposure of the quick, reactions to flea treatments and de-shedding dip treatments, hair splinters, and sharp nails (after clipping). 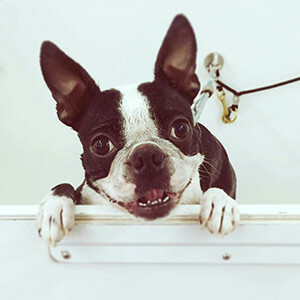 By signing our service agreement, you (the client) agree to relieve Splash N’ Tails, and its agents from any and all liabilities, and/or costs associated with any veterinary care, symptoms or discomfort of your pet related to or presenting after services rendered by Splash N’ Tails. 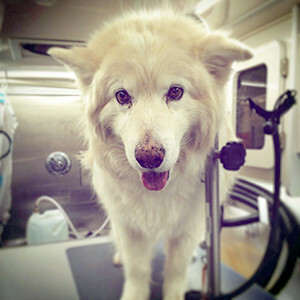 The pursuit of any veterinary, behavioral, or rehabilitational services, and the payment there of, is the sole responsibility of the pet owner. Additionally, you agree to relieve Splash N’ Tails and its agents from any and all liability associated with damages to person, pet, or property by or relating to services rendered or service equipment used by Splash N’ Tails and it's agents. Splash N’ Tails requires at least a 24-hour cancellation notice, in the event you should need to cancel or reschedule your appointment. 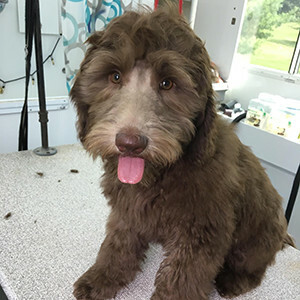 If less than 24 hours notice is given, chances are we have an open slot that we are not able to fill last minute, therefor you will still be charged 50% of the normal grooming fee. Splash N’ Tails carries a limited water supply. We require access to a water supply if you have two or more pets being serviced. Our owners love us as much as their pets do. View more testimonials on Yelp, Facebook and Google. Splash N’ Tails is family owned and operated. 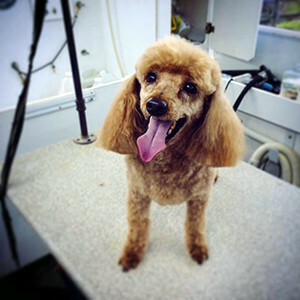 Kenny and Tim are not only certified, professionally-trained groomers, but have big hearts for animals. You can trust your dog or cat will be treated with tender love and care. We use only environmentally friendly products, and offer special services based on what you want for your special friend. 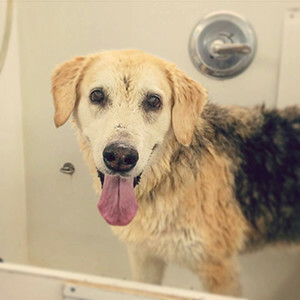 We offer two deluxe grooming packages for all breeds, sizes and coat styles, as well as extra services that you may need to make your dog shine to his or her full potential. Interested in joining our team? 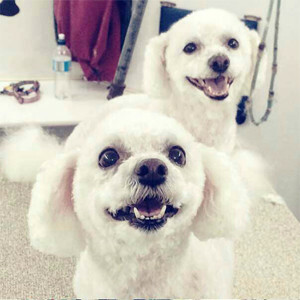 We are always looking for experienced groomers. Contact us today! Visa and Mastercard payments are accepted but will incur an additional $3 service fee. Website by Cara Cairns Design, Inc.